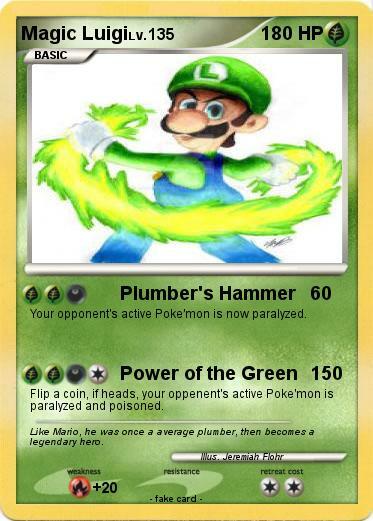 Your opponent's active Poke'mon is now paralyzed. Flip a coin, if heads, your oppenent's active Poke'mon is paralyzed and poisoned. Comments : Like Mario, he was once a average plumber, then becomes a legendary hero.